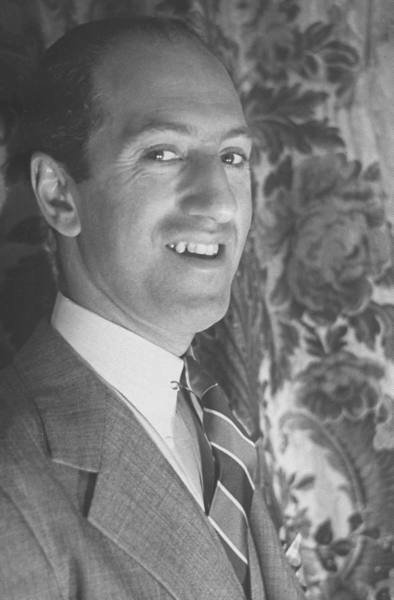 George Gershwin was born Jacob Gershowitz at 242 Snedicker Avenue, Brooklyn, New York in 1898. In George's early years the family moved around quite a bit between the Loweer East Side (425 Third Ave, 21 Second Ave...), Brooklyn (1310 Eighth Ave) and Harlem where they remained after 1915 when they moved to 108 West 111th Street(the current building presumably replaced the one in which the Gershwins lived). Gershwin was said to have composed Rhapsody in Blue in the building on the northwest corner of Amsterdam Avenue and 110th Street. Gershwin began his career as a song-plugger on Tin Pan Alley. ; his pianistic skills were so formidable that he was in great demand. Eventually he began composing his own songs and had enormous success with the Al Jolsen song Swanee, which made him a millionaire. 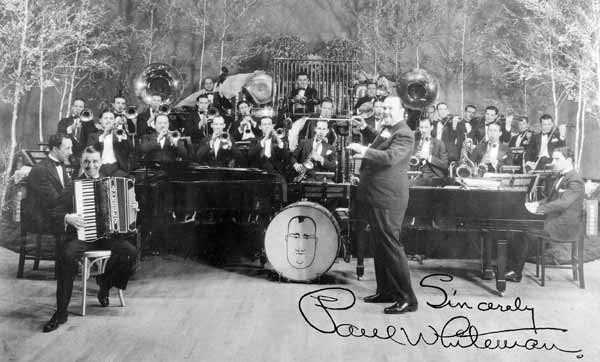 In 1924, bandleader Paul Whiteman advertised a new work for piano and his ensemble by George Gershwin. The work was to be the culmination of an educational "experiment" in American music showcasing how through jazz the masses could be well prepared to understand symphonies and opera and performed at New York's Aeolian Hall. The culmination of the evening was that a panel of four experts - the Russian-born composer Sergei Rachmaninoff, the Lithuanian-born violinist Jascha Heifetz, the Russian-born violinist and composer Ferde Grofé. "Jazz" was very influential among a group of European composers in the early years of the twentieth century, though their notion of "jazz" differed considerably from a modern understanding of the form, being more influenced by Ragtime (as in Stravinsky's Ragtime for Twelve Instruments) or Minstrel music (as in Debussy's Golliwog's Cakewalk) In the early twenties, European composers visiting America often snuck up to Harlem to hear jazz, perhaps seeing a tie between the music of African-Americans and the newfound interest in so-called "primitive" art in Paris. These jazz influences can be seen in works as diverse as the "blues" movement of Ravel's Violin Sonata in G minor and Milhaud's evocative ballet Le Creation du Monde. Rhapsody in Blue is organized as a medley of five songs performed by the piano and the ensemble. Each "song" fits within the standard song form of the era: a 32-bar chorus in a fixed pattern of four phrases: AABA, ABAB, ABCA or AABC. The most popular format and the one featured in each of the "songs" of the Rhapsody is AABA. Introduction for Clarinet Solo leading to Song A: chromatic melody with tuplet figures. Heard first in orchestra, then piano, then orchestra. 3:08 Song A: Full version of Song A in orchestra: AABA form. 4:20 Song C: Staccato brass quasi-stride piano with block chords in piano in combination of heroic (Tchaikovsky Piano Concerto) style: AABA form. 6:18 Song C: Piano has a go at Song C. First solo then (at 7:19) with added counterpoint. 11:23 Song E: In orchestra: the romance theme. Reminiscent of the love theme from Tchaikovsky's Romeo and Juliet: AABA form. Romance theme continues in Piano and then returns in Orchestra. 15:20 Piano introduces teletype figure. 16:10 Song E: Orchestra plays Song E at double time, while piano plays teletype figuration. 17:01 Song C: With stride piano/heroic block chords in orchestra. 17:34 Song A: The opening motto returns. 17:50 Piano emphasizes closing gesture: "Good Evening Friends"